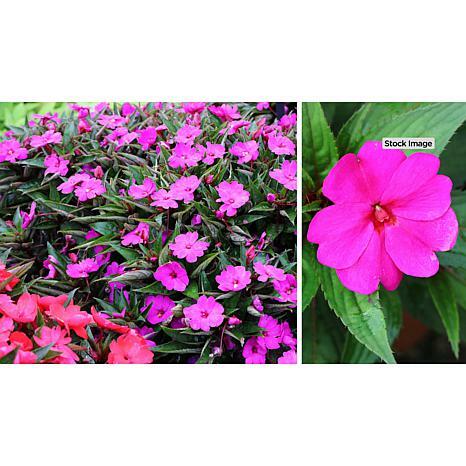 Add a bright pop of color to your garden with this collection of Cherry Berry Impatiens. In hues of magenta, purple and white, this early-flowering plant with a mounding habit will look beautiful as ground-cover or when planted in hanging baskets and patio containers. A lack of sufficient water can cause impatiens to take on a sparse or leggy appearance. To rejuvenate the plants, cut them back to half of their current height, water thoroughly, and maintain a consistent watering schedule to keep them looking their best. 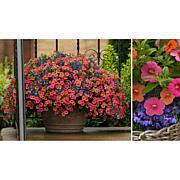 Because impatiens naturally shed spent blossoms, no deadheading is needed. 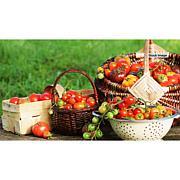 Feed your plants once every 7 to 10 days during the growing season with a water-soluble fertilizer. 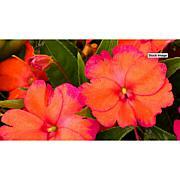 Impatiens are tender annuals that cannot tolerate any frost or freezing temperatures. 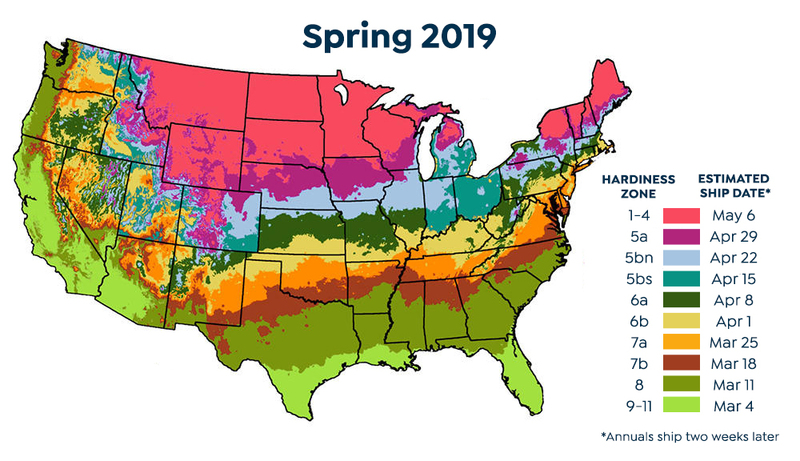 In the event of a late spring frost, protect young plants by covering them overnight with a sheet, frost blanket or an inverted bucket or box. Remove any material used to cover the plants the following morning. 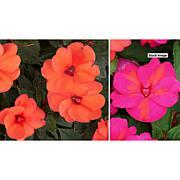 Impatiens should be discarded when they have finished flowering at the end of the season.